WHY CHOOSE BRISK SPARK PLUGS?  Brisk is one of the largest spark plug auto parts manufacturers in the World, with 80 years experience in spark plug manufacturing. 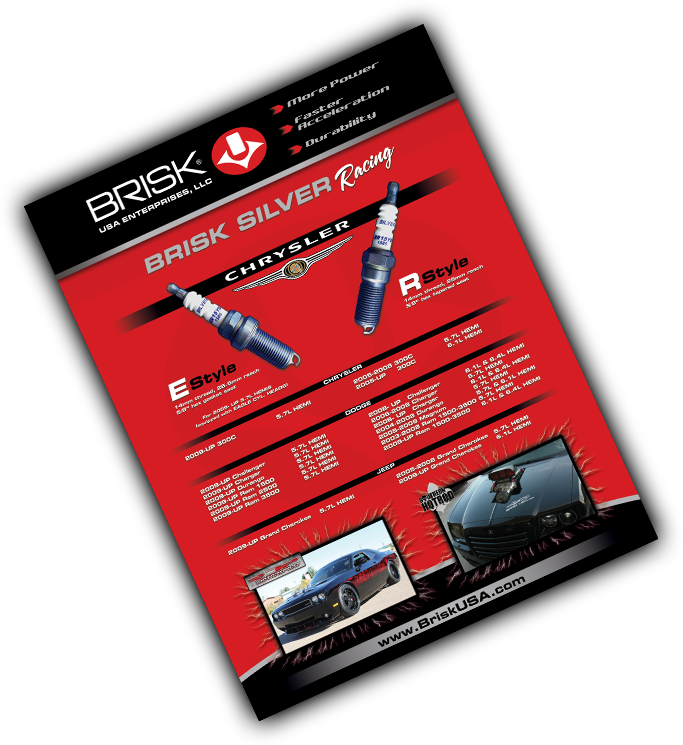 Brisk USA specializes in the use of silver center electrode technology in our high performance and racing spark plugs, but also offers OEM auto parts and wide assortment of iridium spark plugs, copper sparkplugs, platinum spark plugs and even yttrium spark plugs. 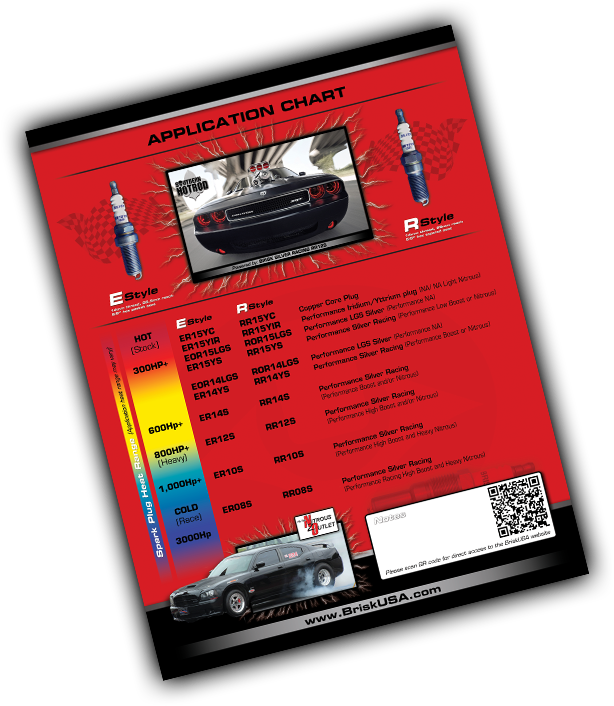 For those who seek maximum spark plug efficiency and performance, Brisk USA offers several unique patented spark plug firing designs, including Brisk Multi-Spark plug and Brisk LGS (lamborghini design) spark plugs. Brisk USA has played a major role in some of the worlds record holding passes and builds in the Performance and Racing Industry, providing a spark plug that creates more horsepower and can fire under extreme cylinder pressures. 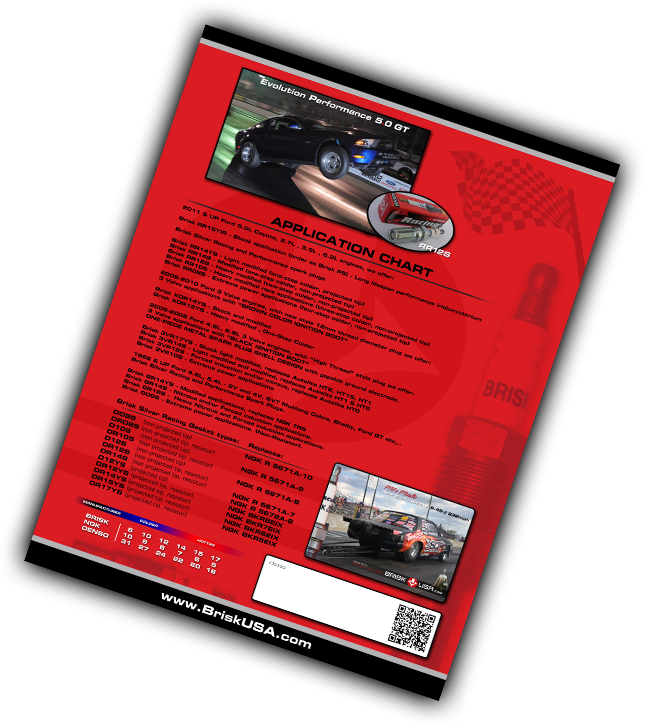 Brisk USA spark plugs help win races in a wide variety of classes, from small engine spark plug applications to 4,500 horsepower PROMOD, and and many other high performance output engine applications. Whether you are searching for lawn mower spark plug, motorcycle spark plugs, ATV spark plugs, marine spark plugs, sparkplugs for your daily driver or fully built race car, Brisk USA is the ideal solution for all your spark plug needs. 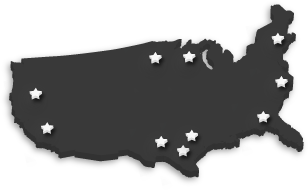 Wholesale spark plugs accounts are available, and new spark plug dealers are welcome. As a company, we strive to provide solutions. 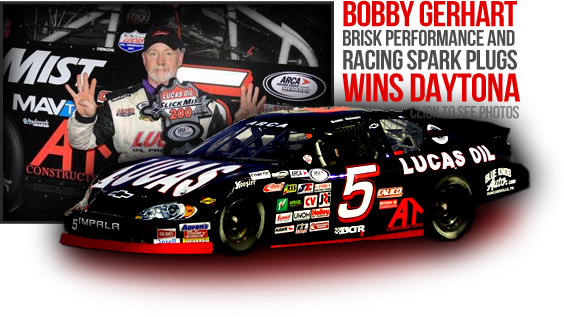 Our focus is to provide the general public, Performance and Racing Industry as well as the OEM Automotive and auto parts warehouse with products that will not only work, but will perform better than anything else available. 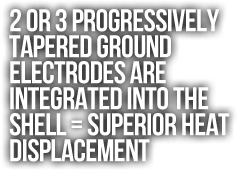 The most prominent example of this is the Ford Modular 3-Valve platforms spark plug replacement. 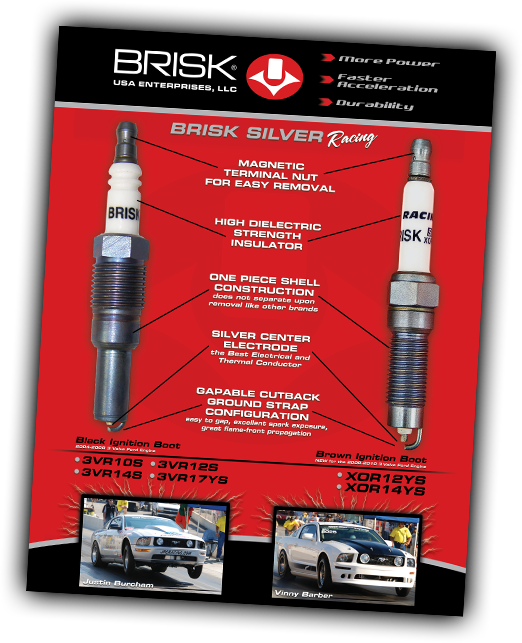 Brisk USA was the first in the world to offer a single piece spark plug billet design to eliminate the factory spark plugs from breaking off in the engine cylinder head. Since then, Brisk Racing Spark Plugs has been a part of the worlds fastest record holding applications such as Mustang, LS, Hemi, Subaru and many more.